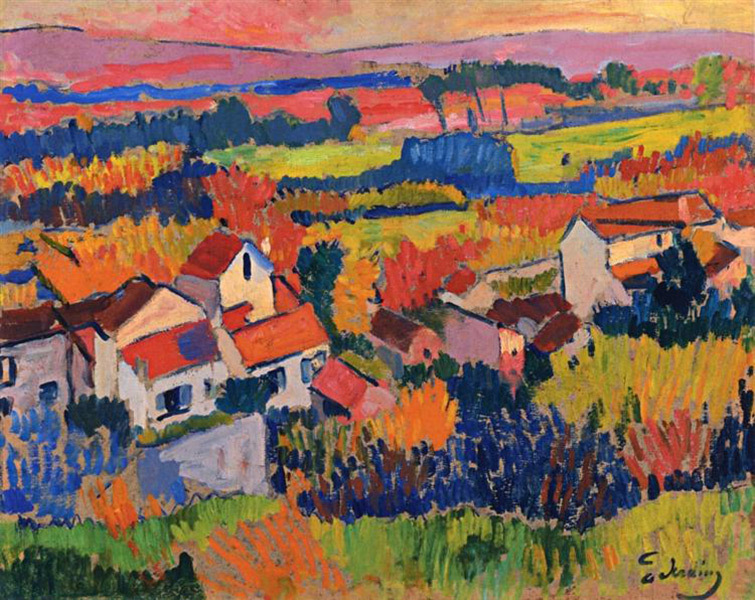 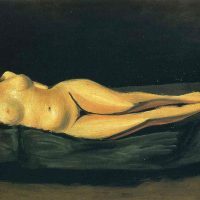 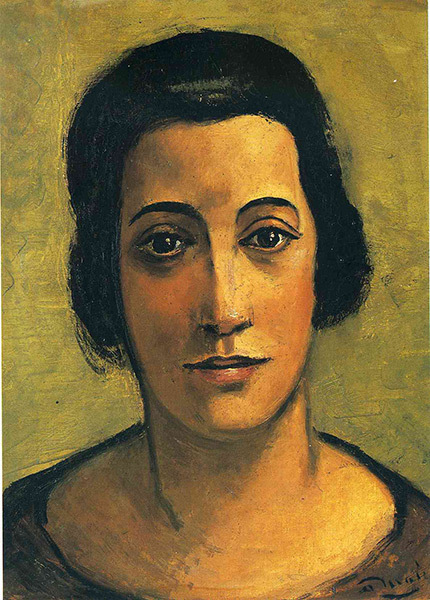 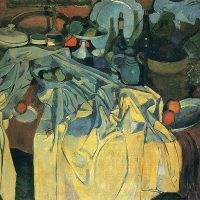 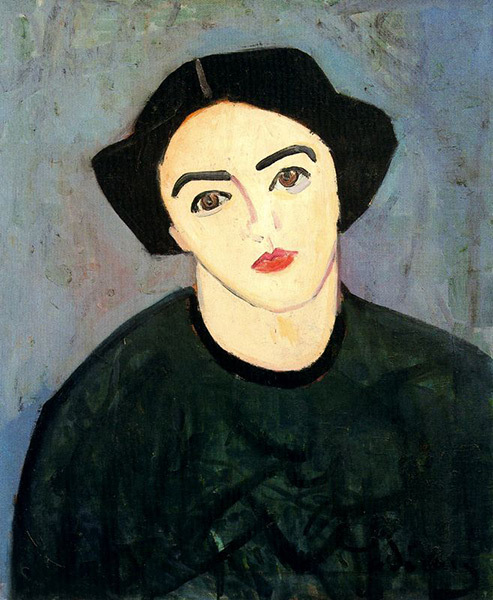 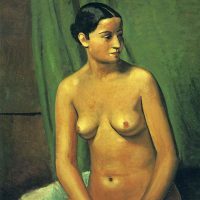 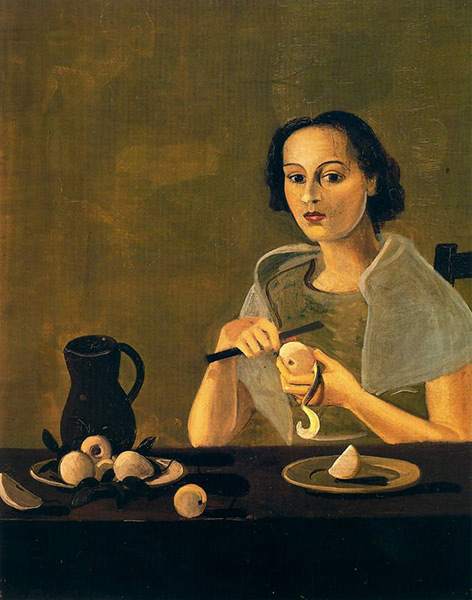 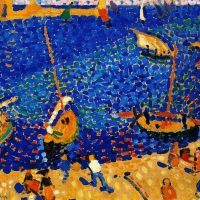 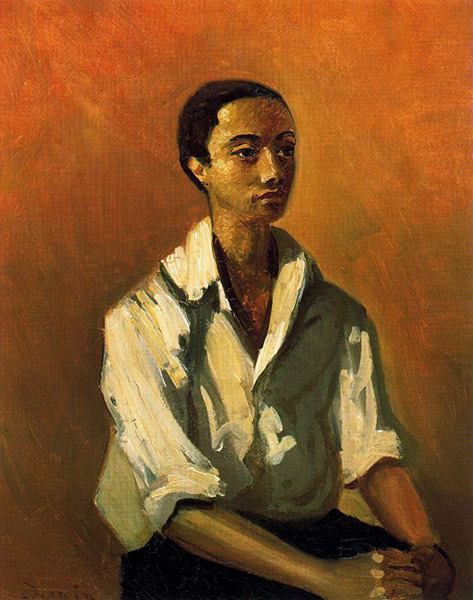 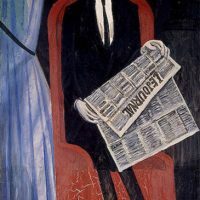 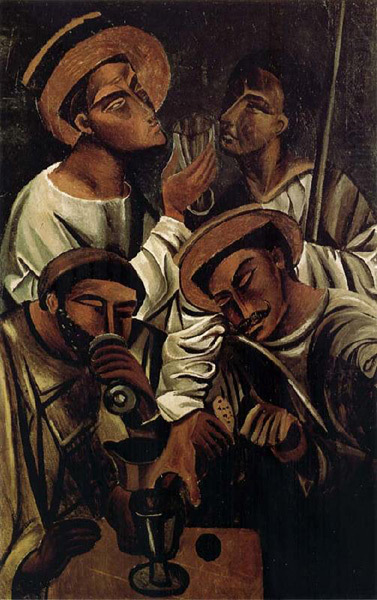 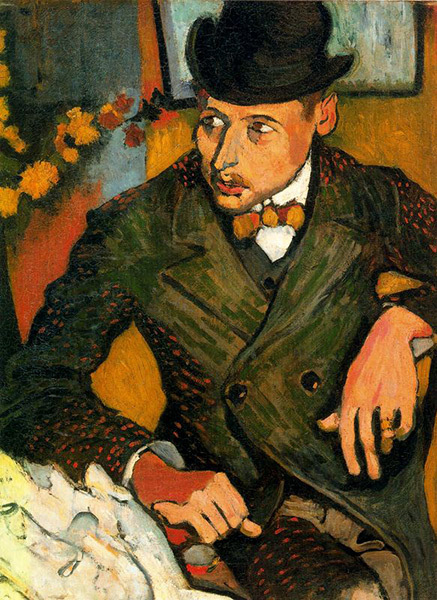 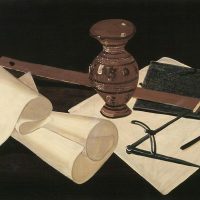 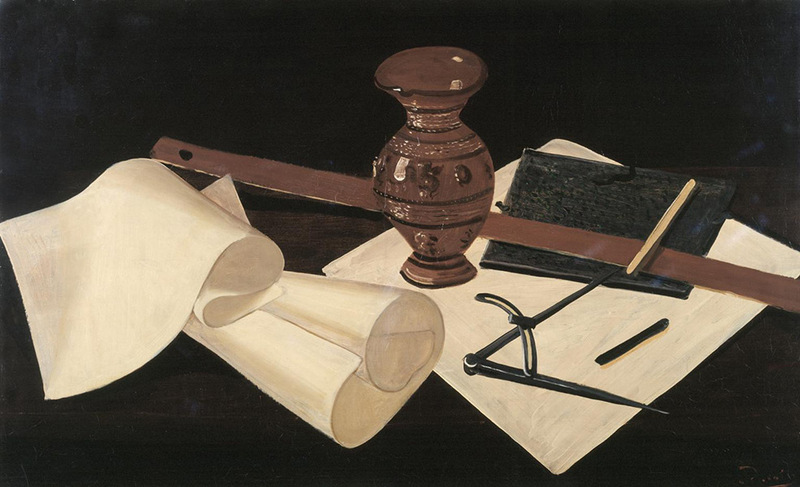 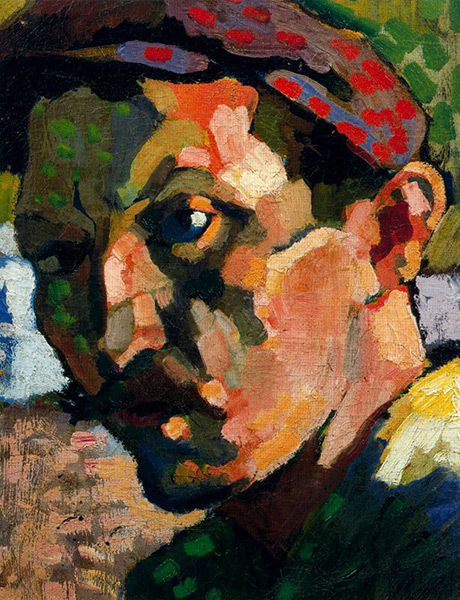 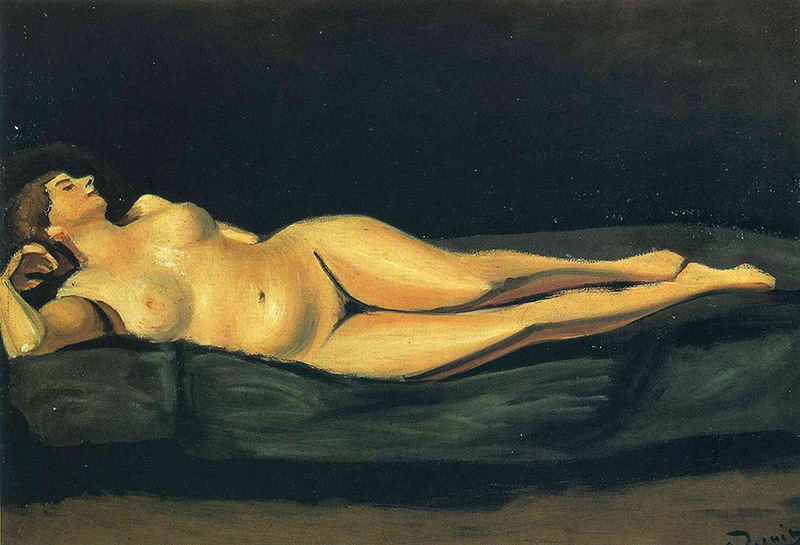 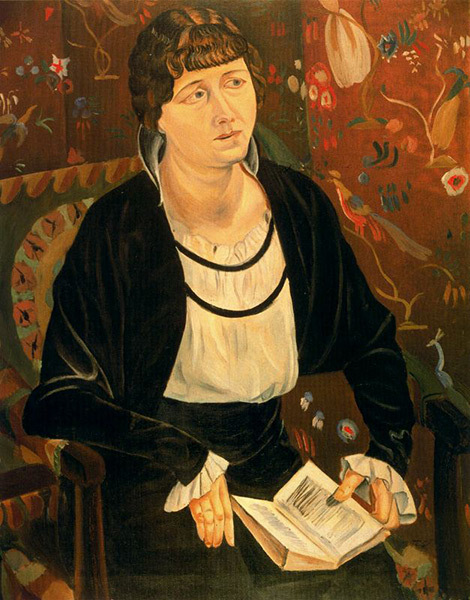 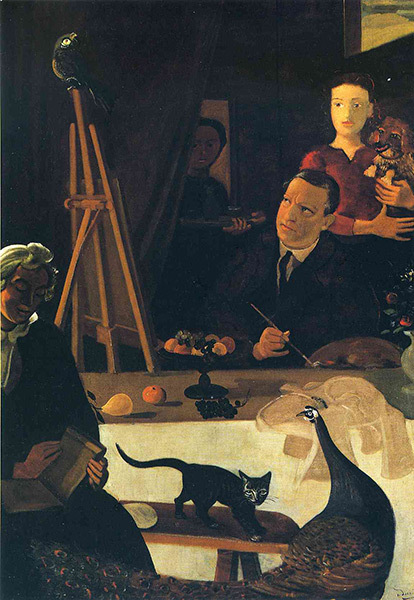 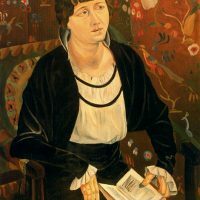 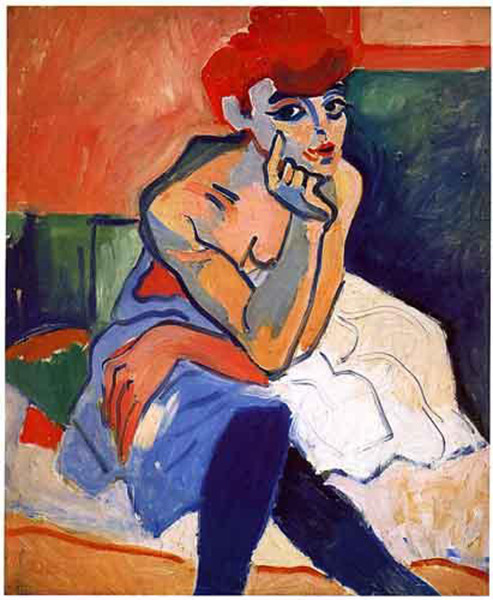 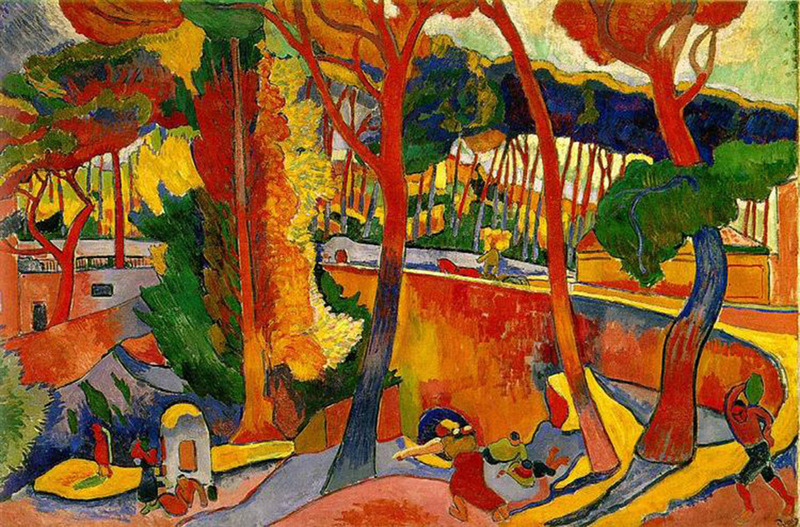 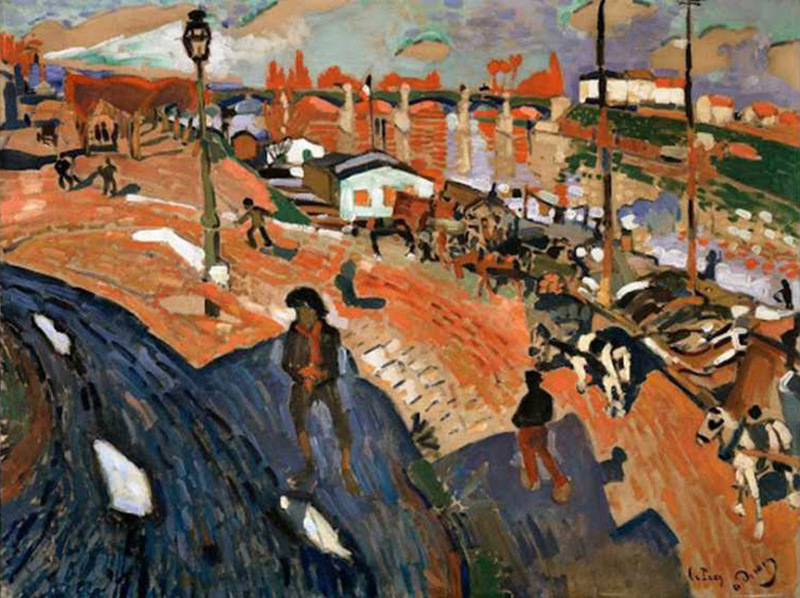 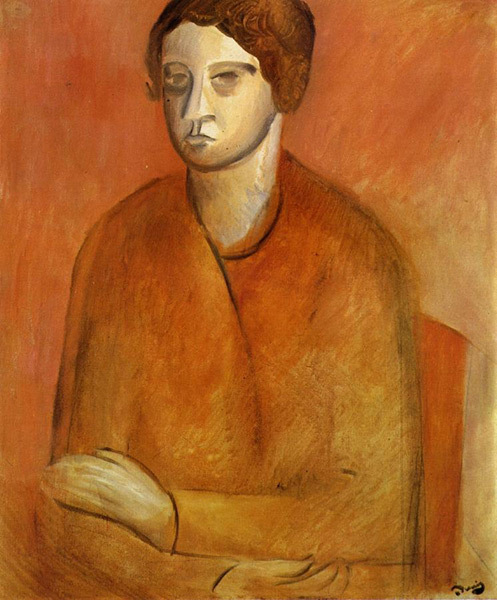 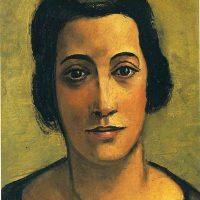 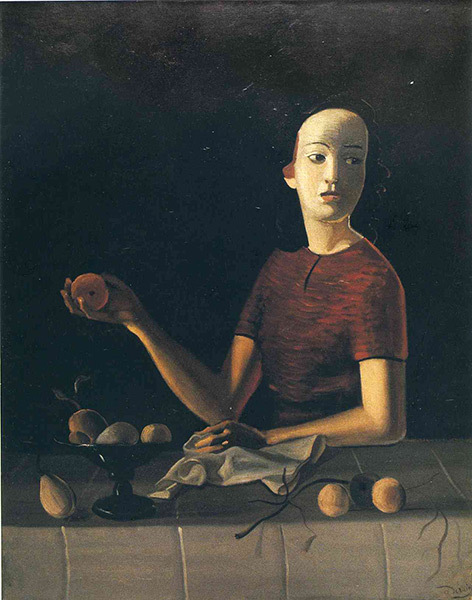 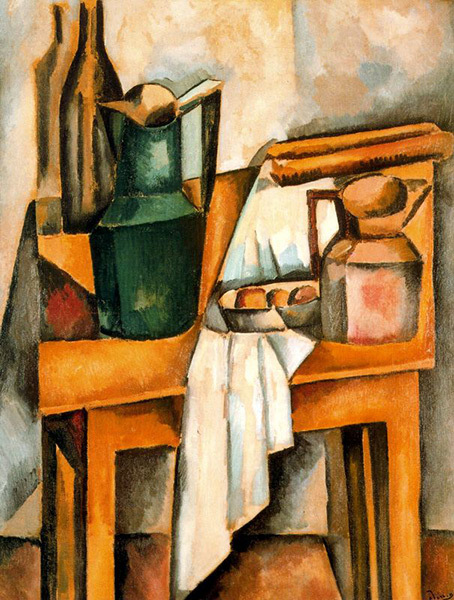 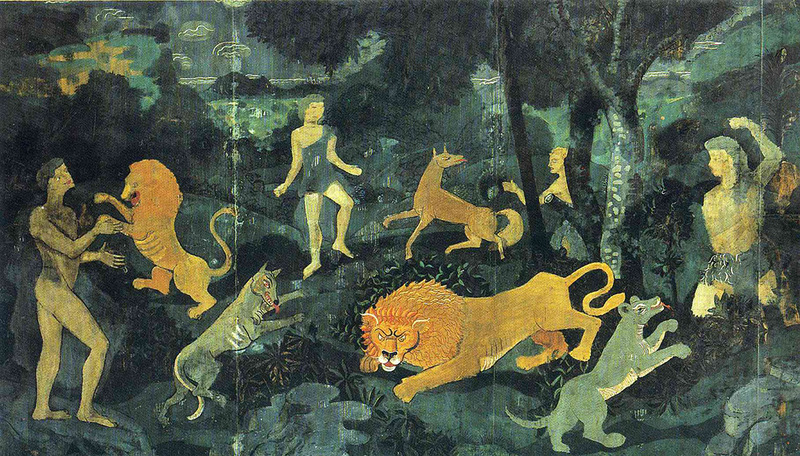 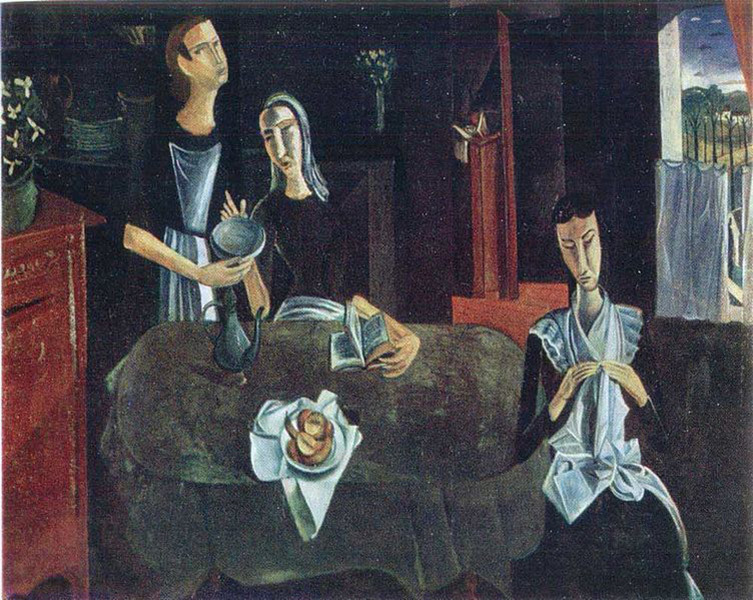 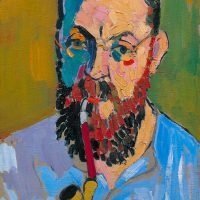 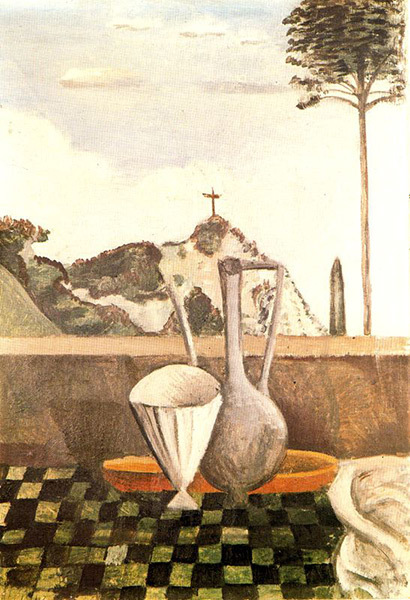 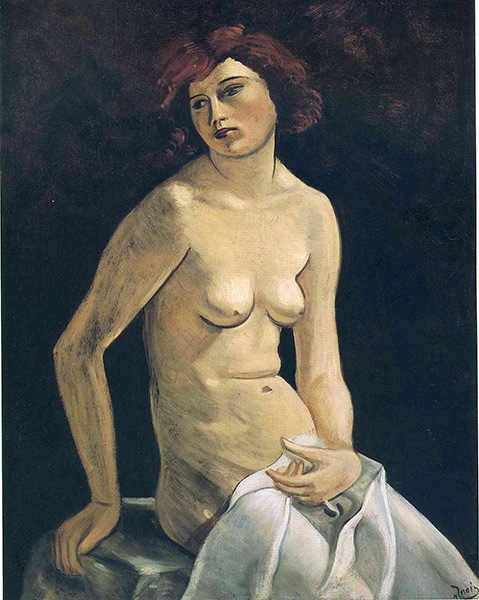 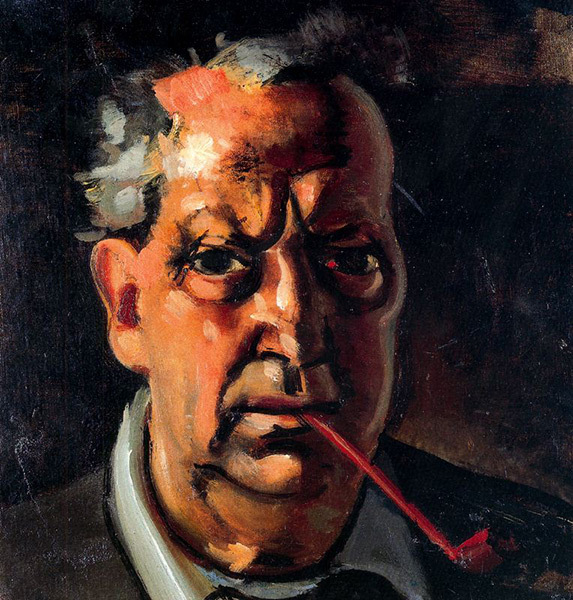 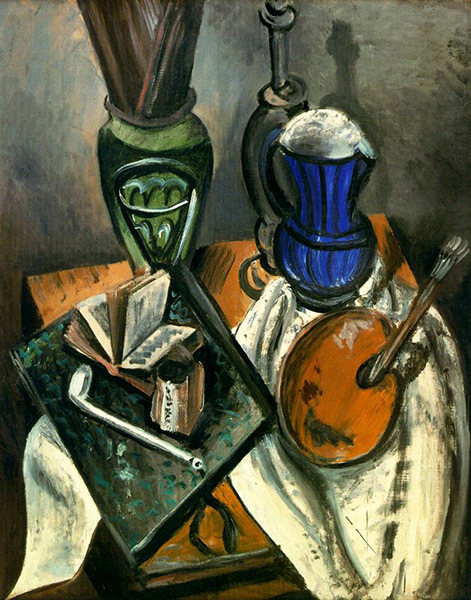 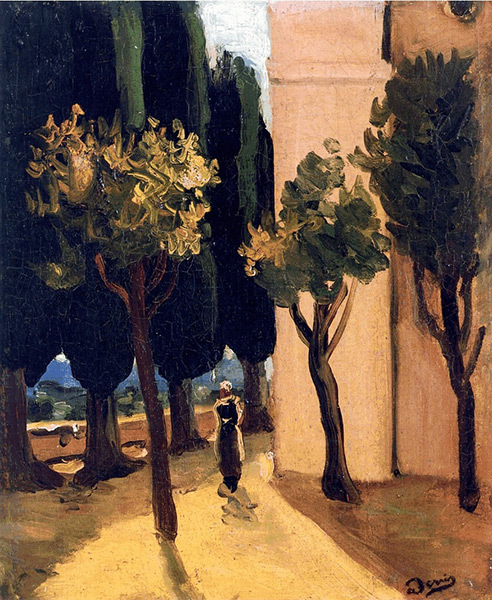 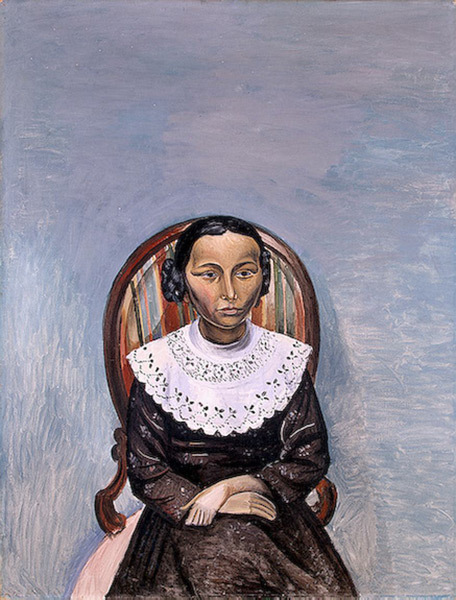 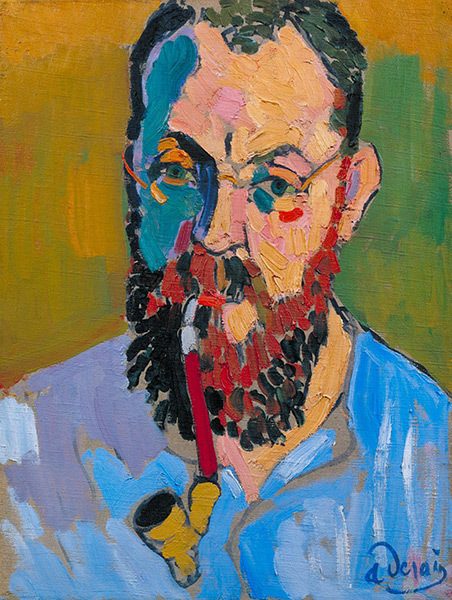 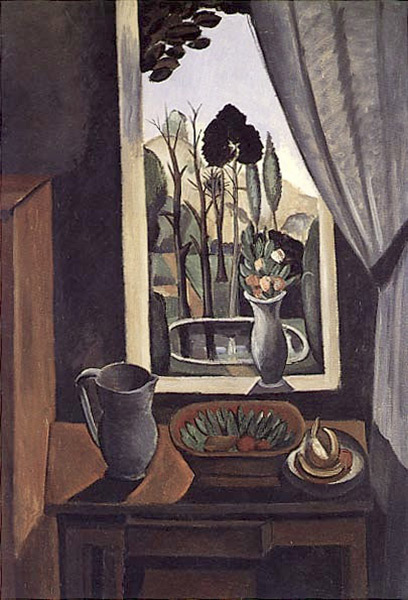 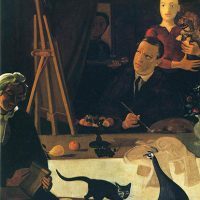 André Derain, (1880 – 1954), French painter, sculptor, printmaker, and designer who was one of the principal Fauvists. 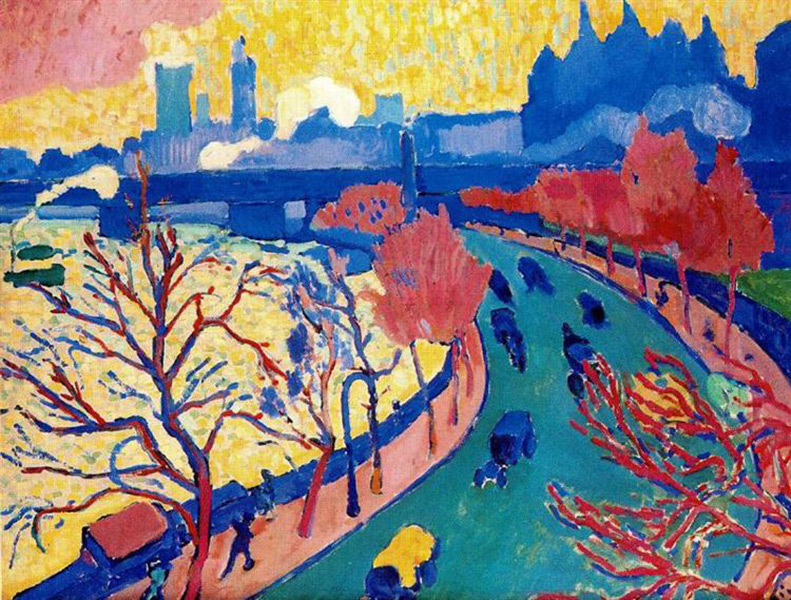 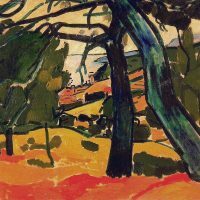 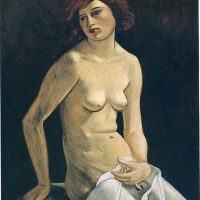 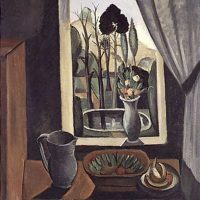 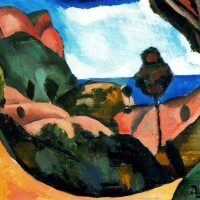 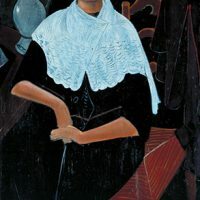 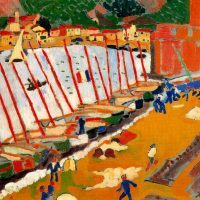 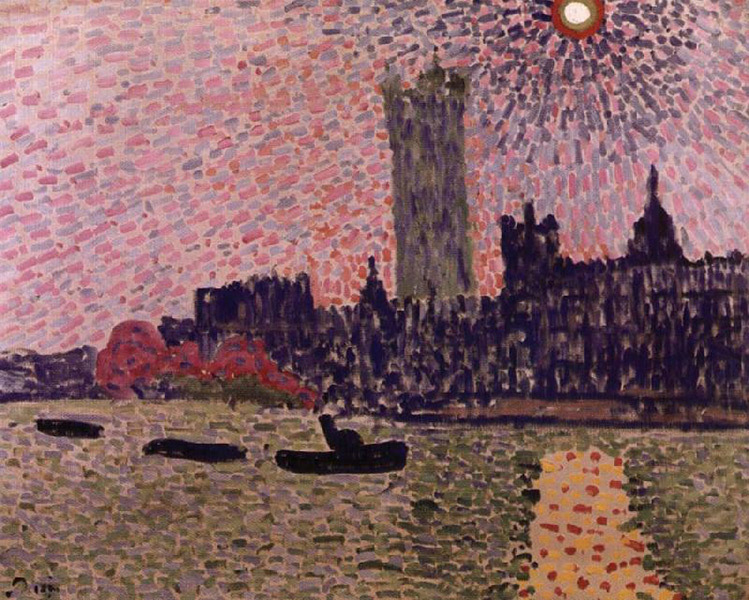 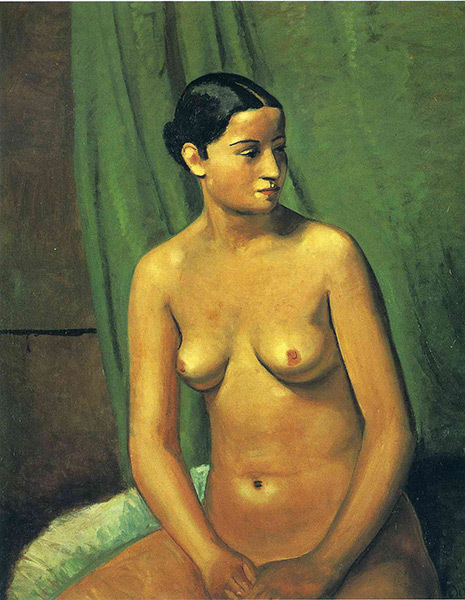 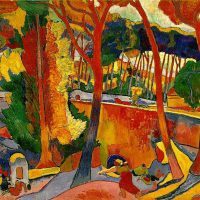 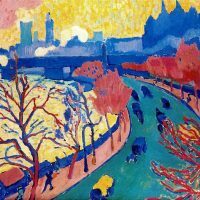 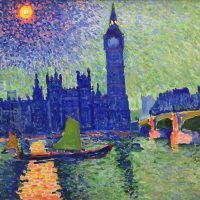 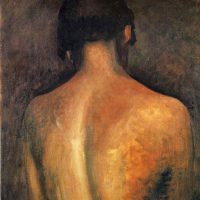 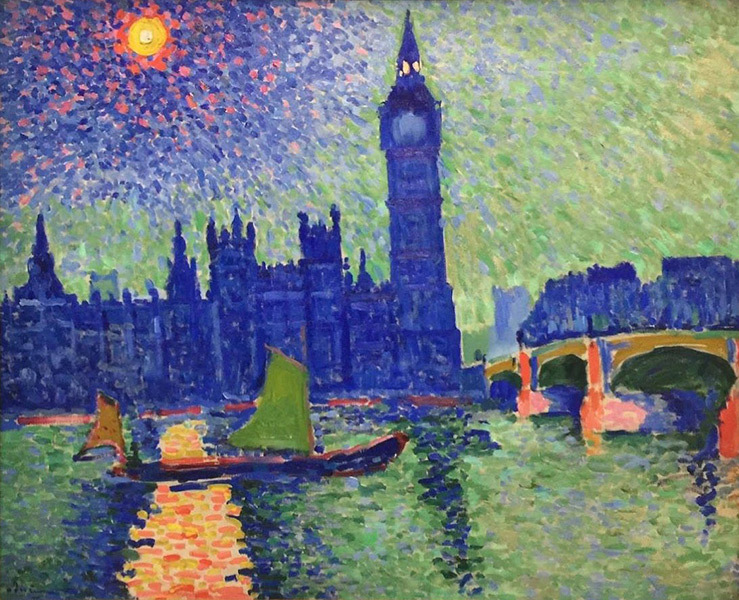 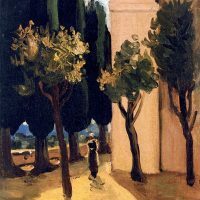 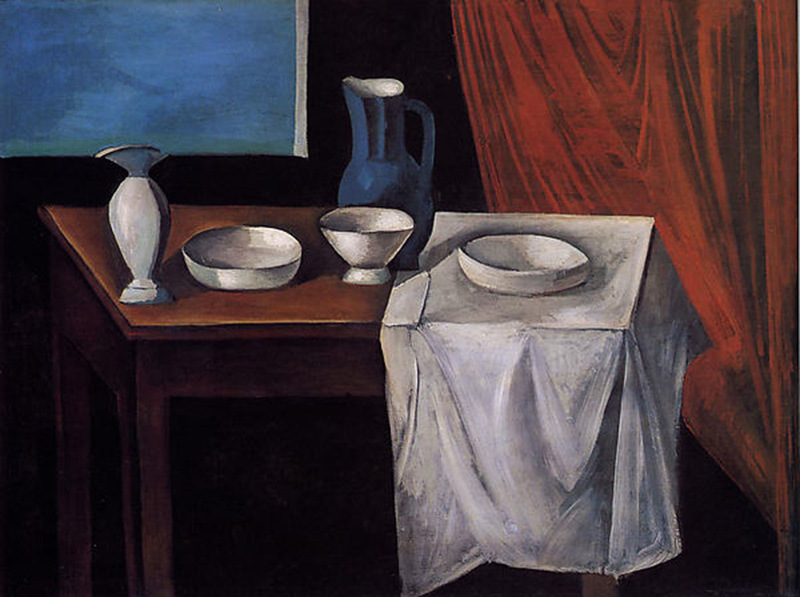 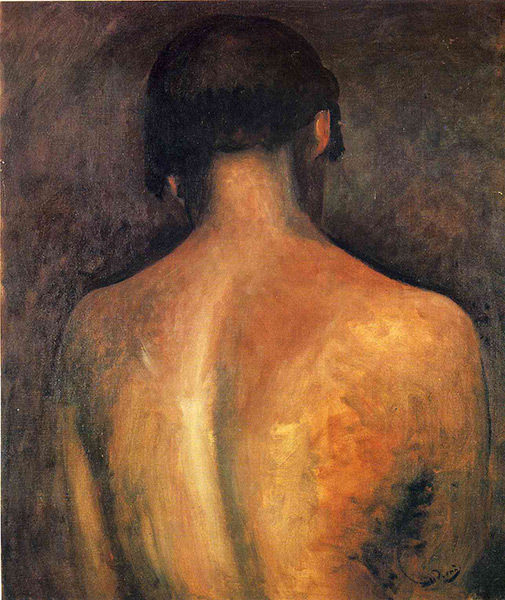 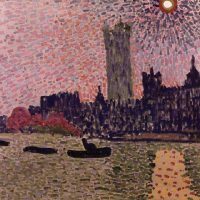 Derain studied painting in Paris at the Académie Carriere from 1898 to 1899. 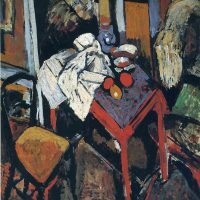 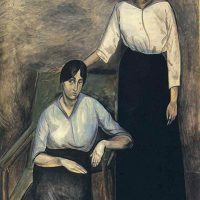 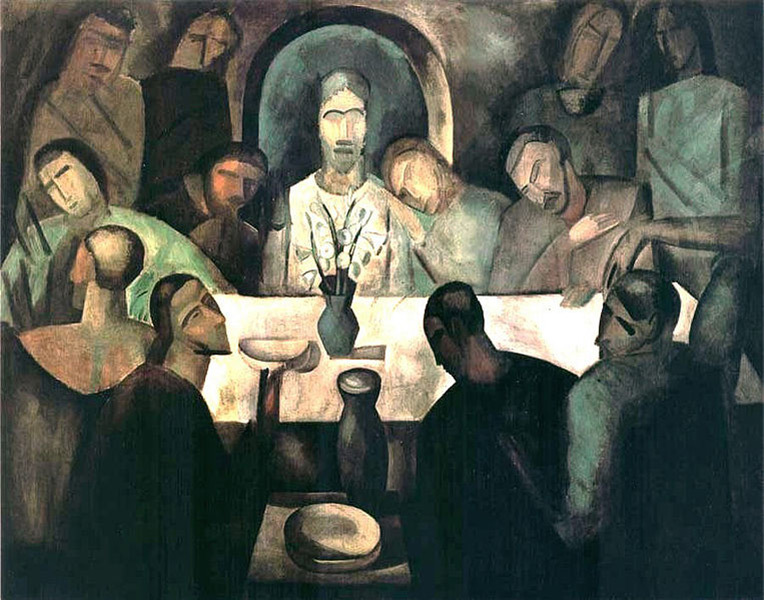 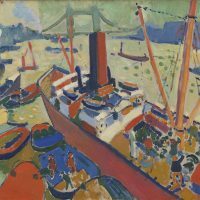 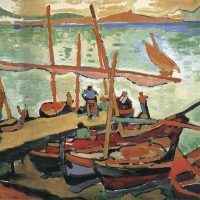 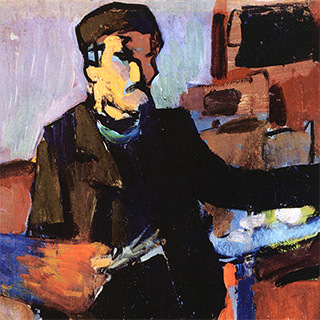 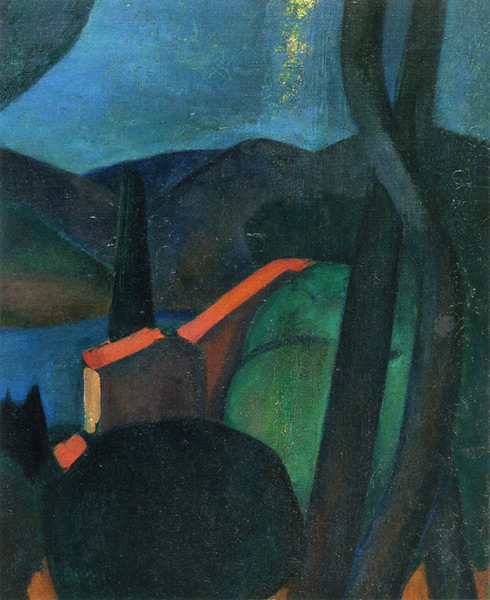 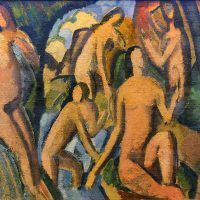 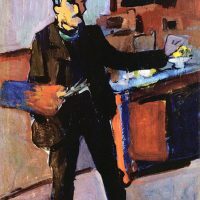 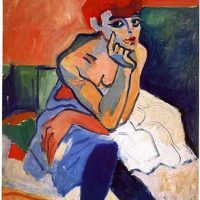 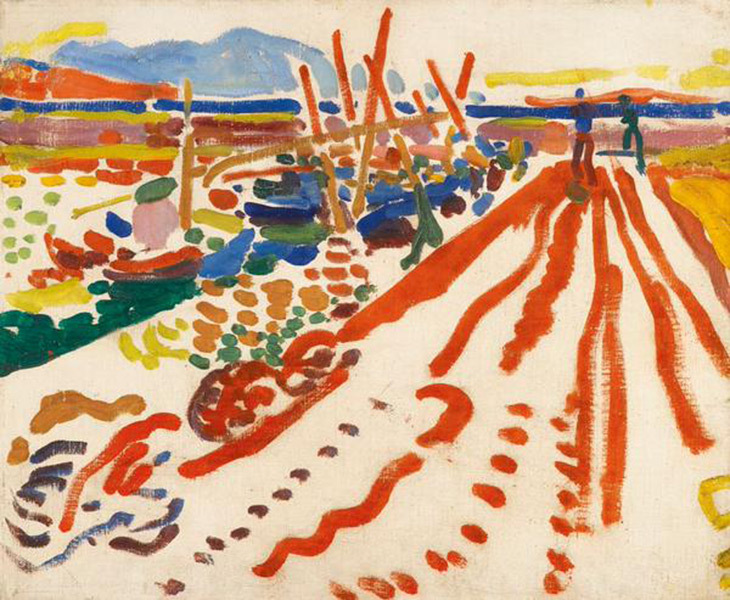 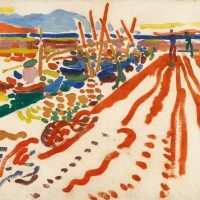 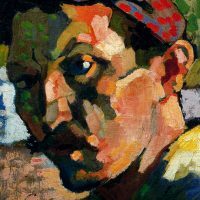 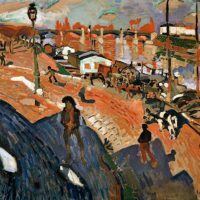 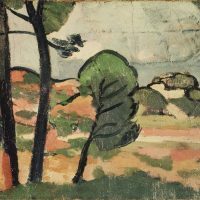 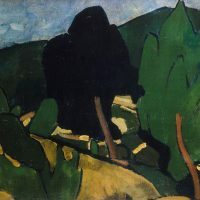 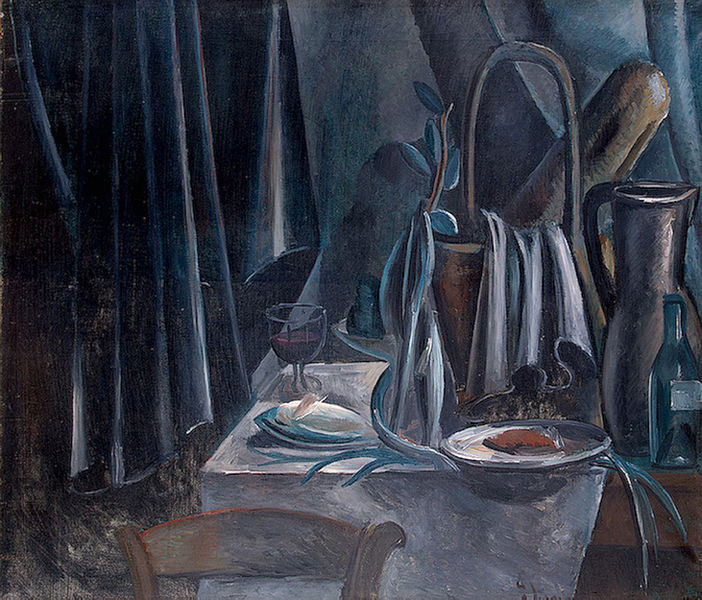 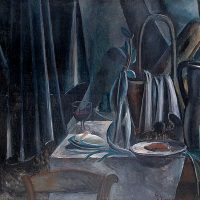 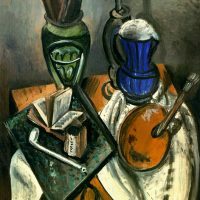 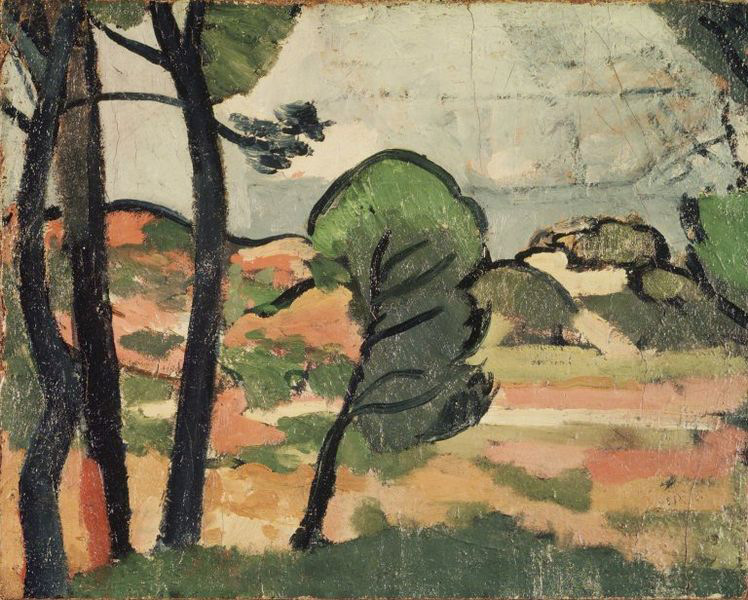 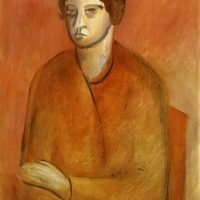 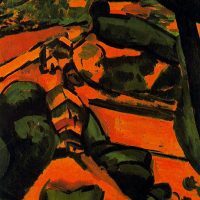 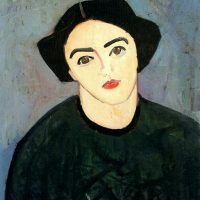 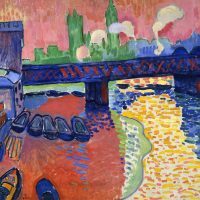 He developed his early style in association with Maurice de Vlaminck, whom he met in 1900, and with Henri Matisse, who had been Derain’s fellow student at the Académie Carriere. 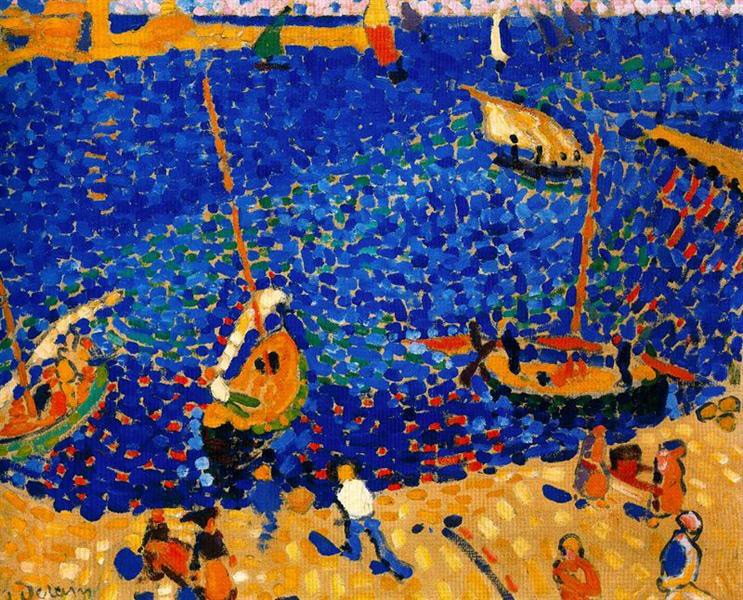 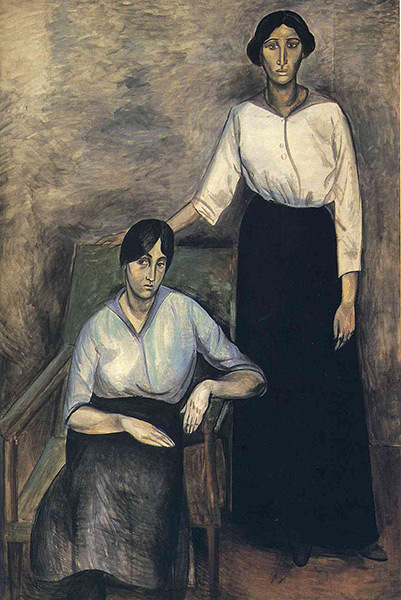 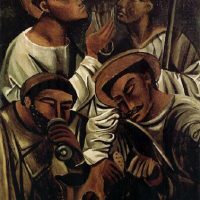 Together with these two painters, Derain was one of the major exponents of Fauvism from 1905 to 1908. 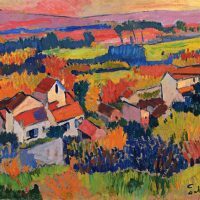 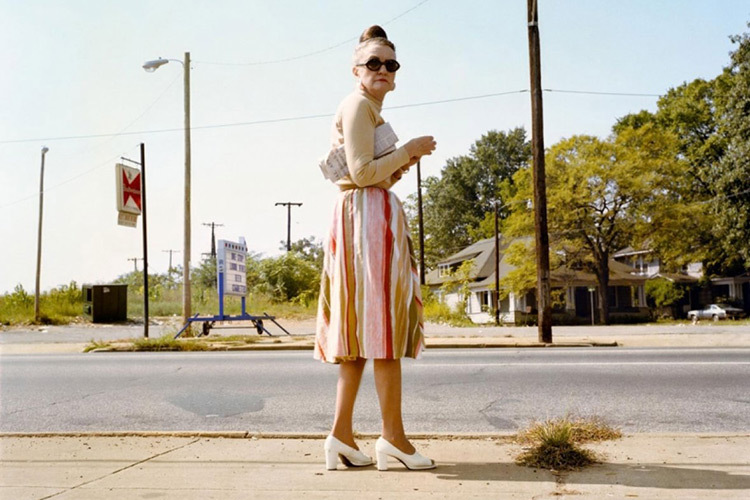 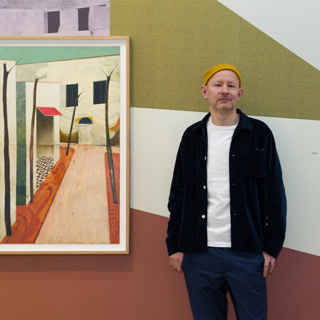 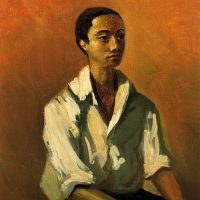 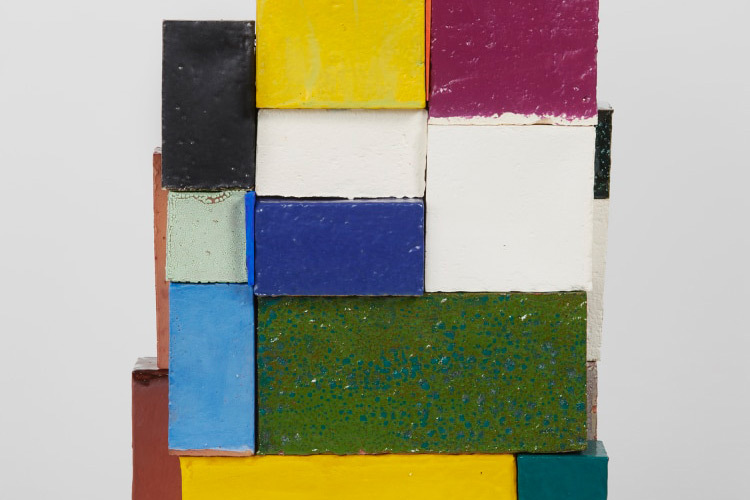 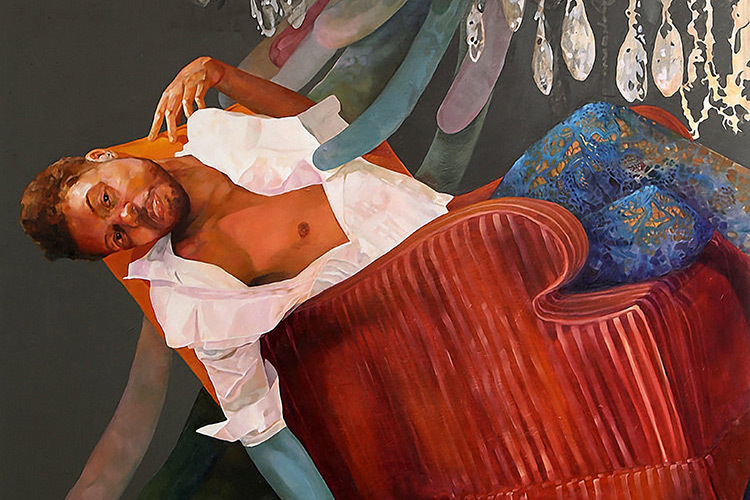 Like the other artists who worked in this style, he painted landscapes and figure studies in brilliant, sometimes pure colors and used broken brushstrokes and impulsive lines to define his spontaneous compositions. 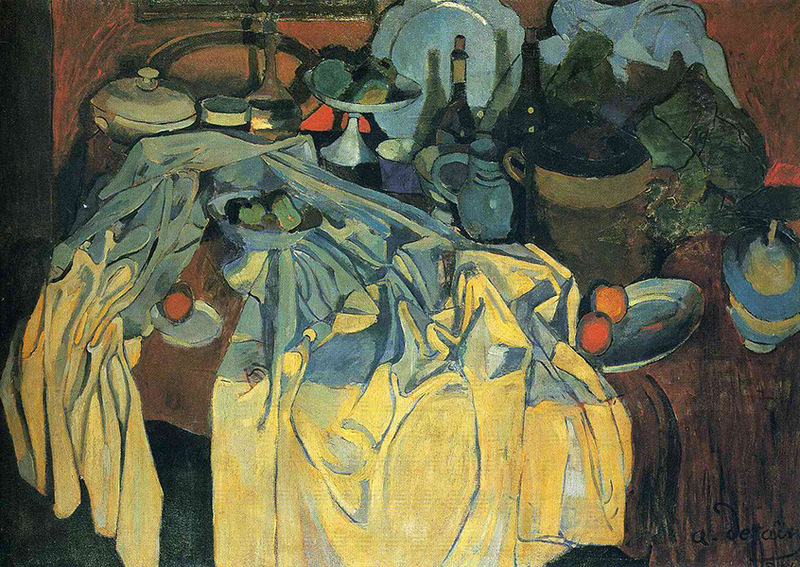 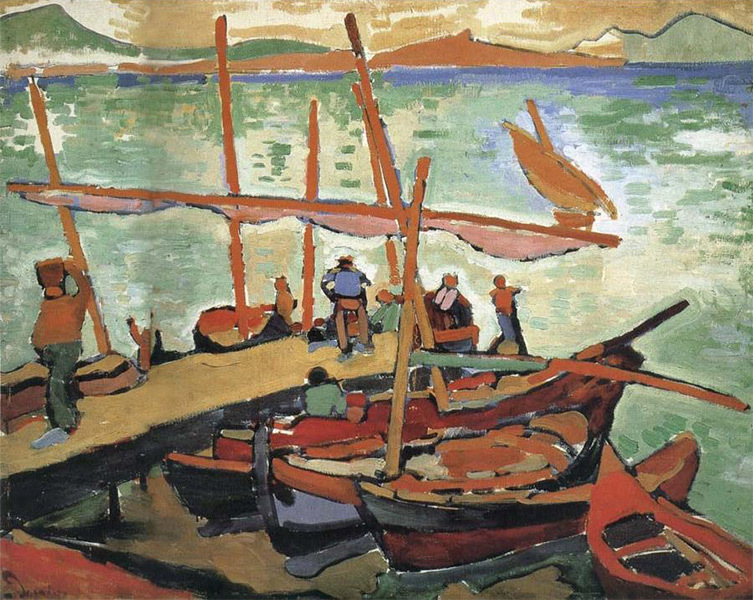 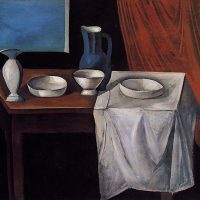 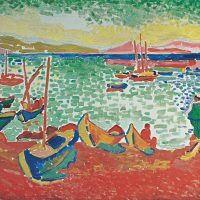 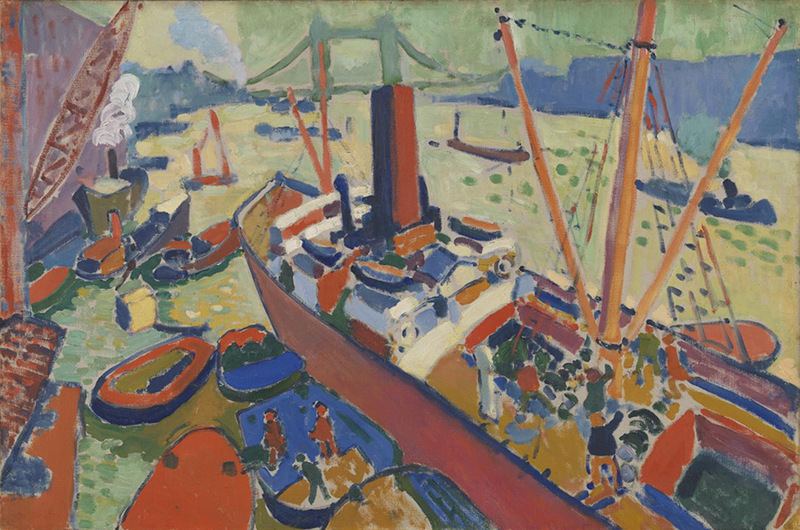 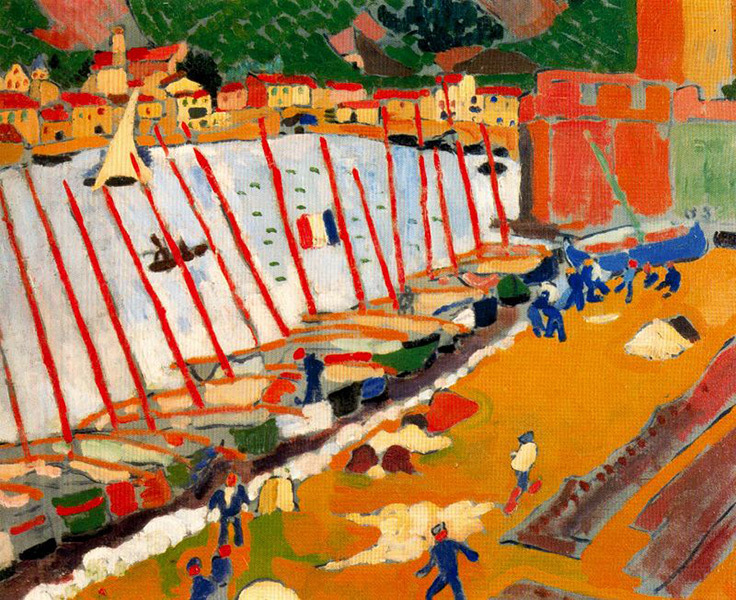 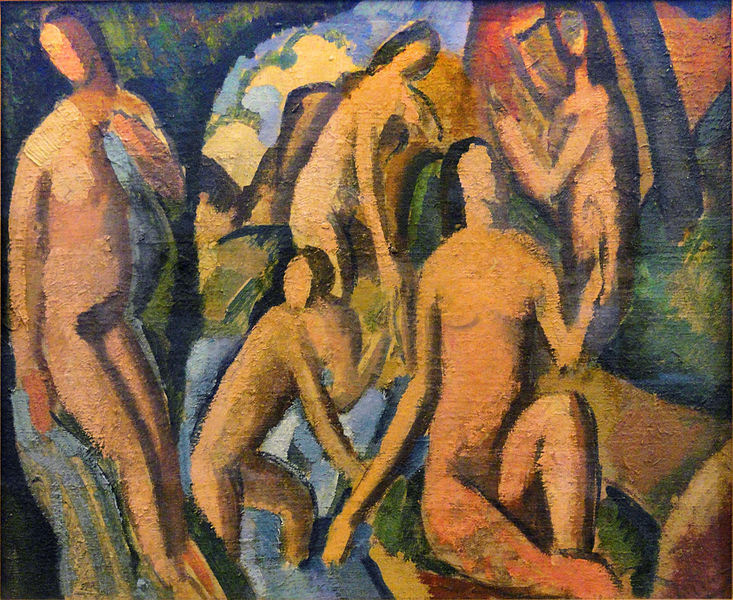 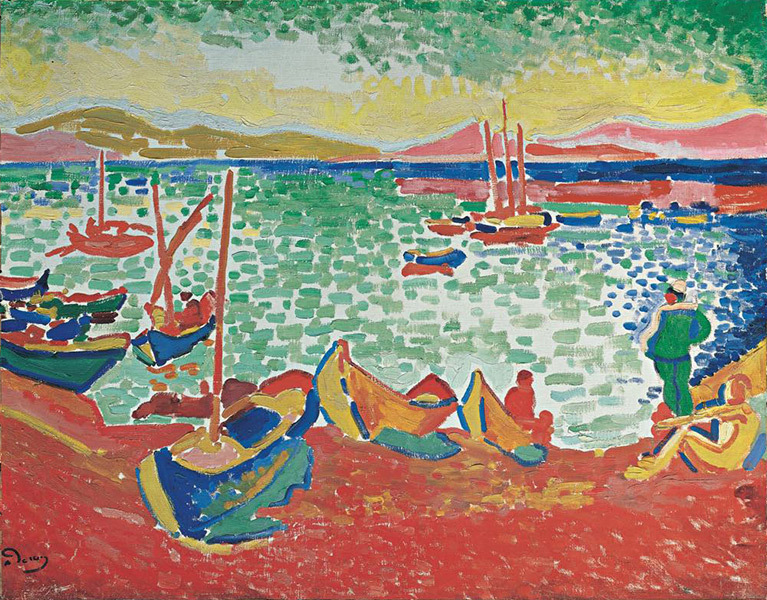 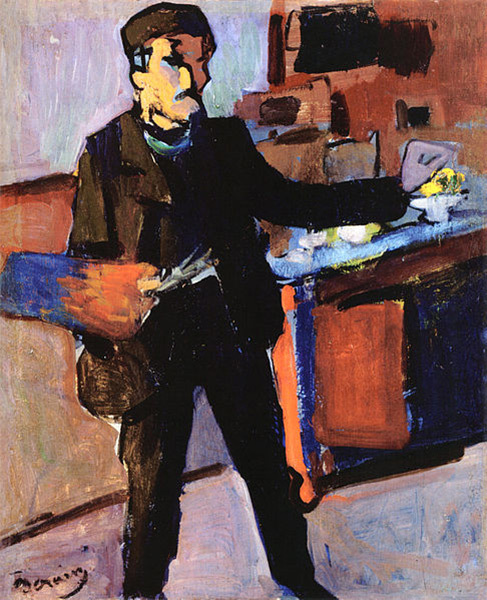 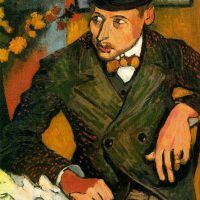 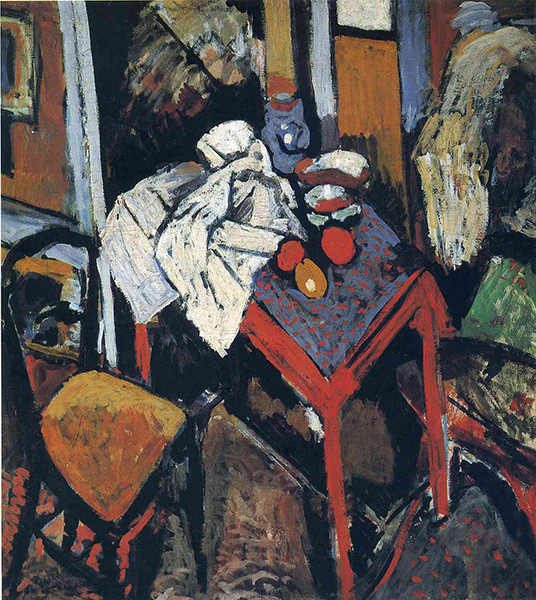 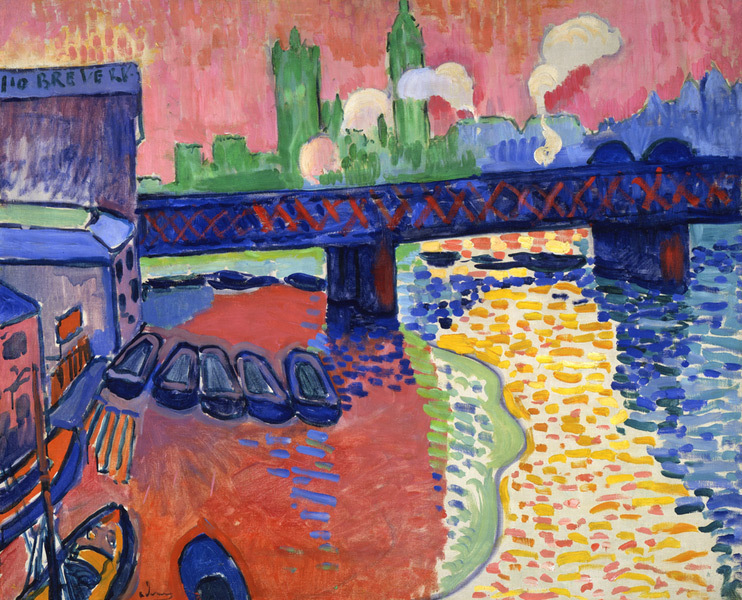 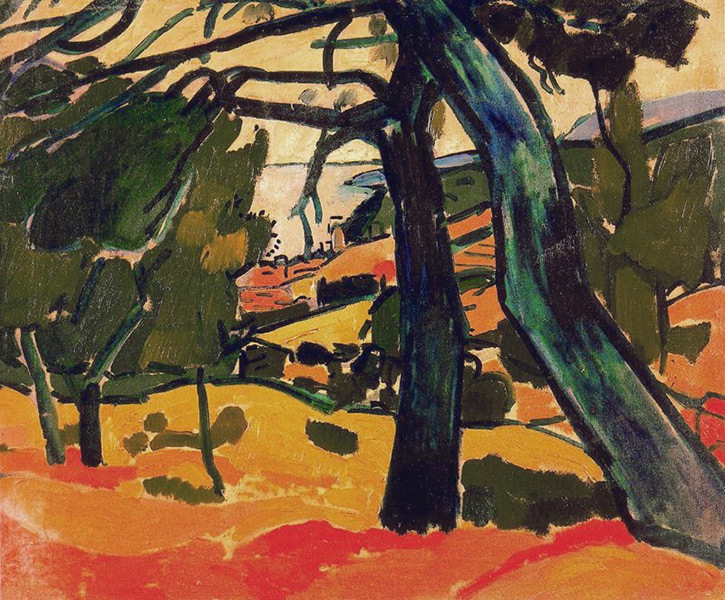 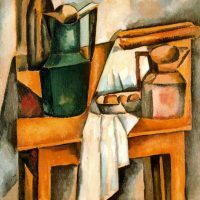 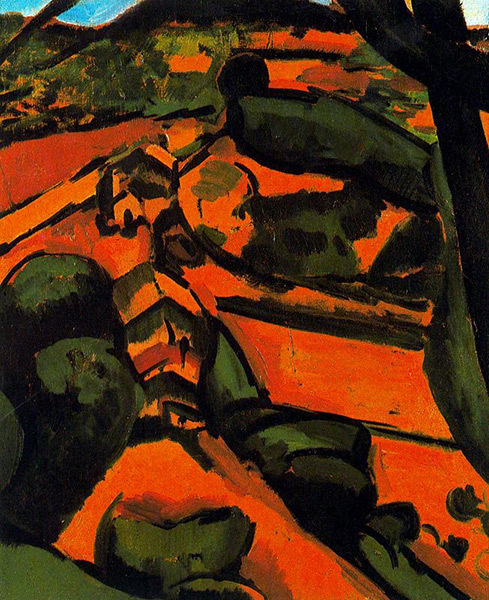 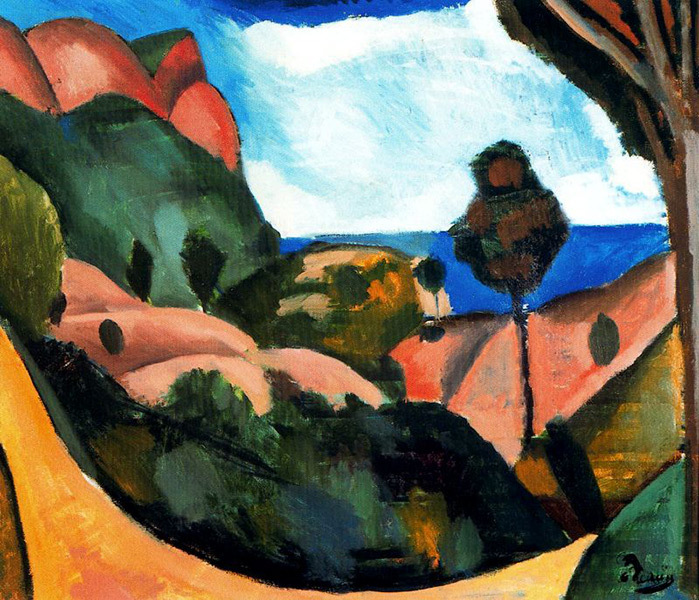 Derain broke with Fauvism in 1908, when he was temporarily influenced by the works of the Post-Impressionist painter Paul Cézanne. 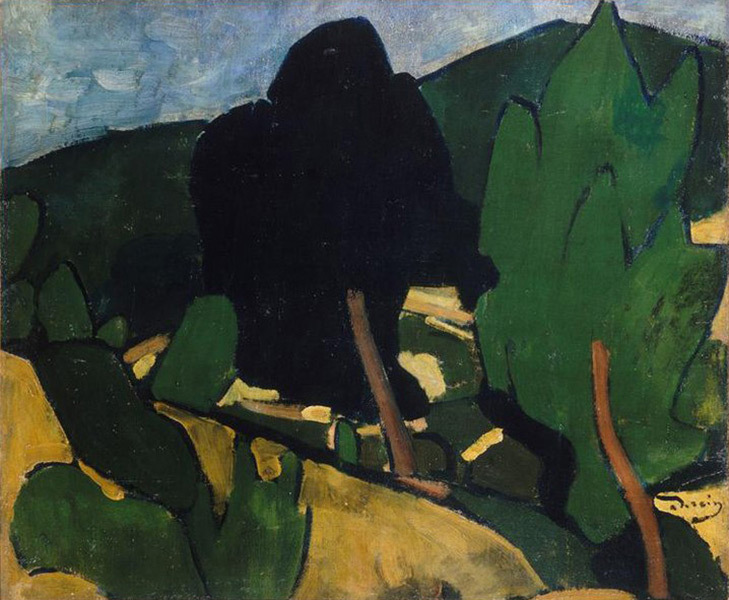 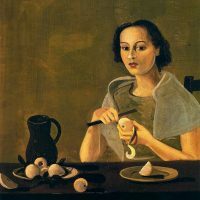 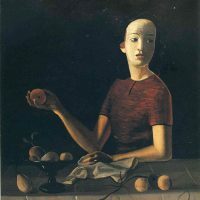 Derain worked for a few years in a stylized form of Cubism, but by the 1920s his paintings of nudes, still lifes, and portraits had become increasingly Neoclassical, and the spontaneity and impulsiveness that had distinguished his earlier work gradually disappeared. 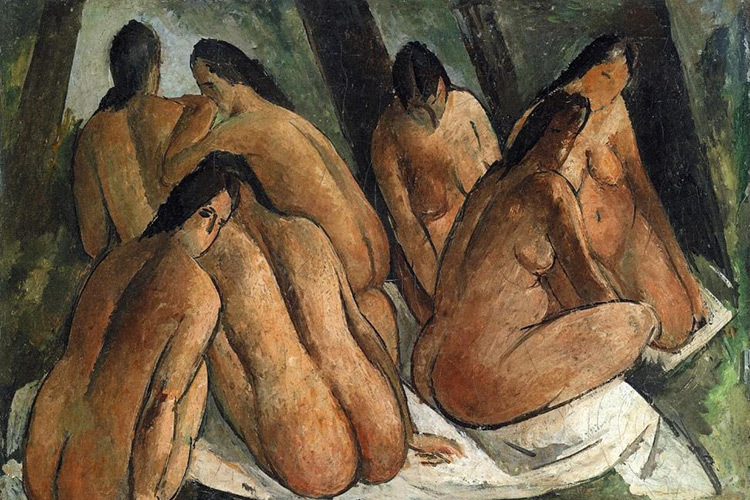 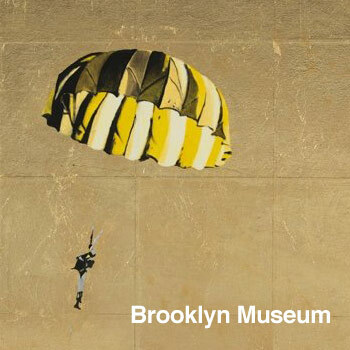 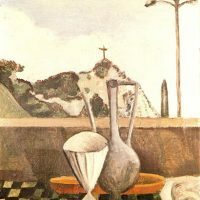 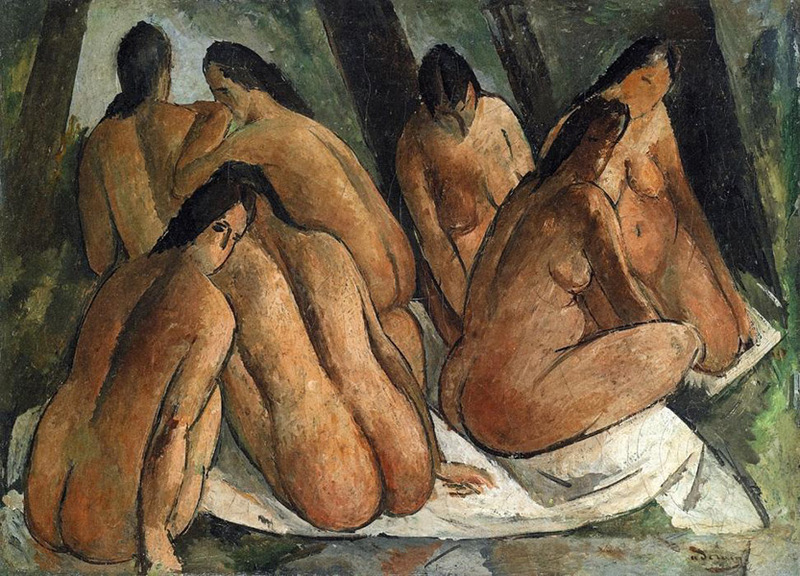 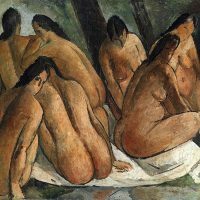 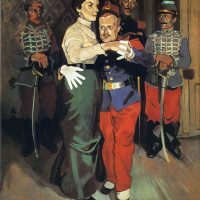 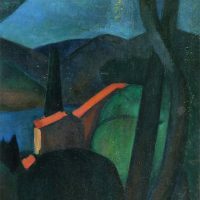 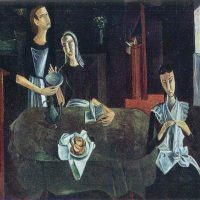 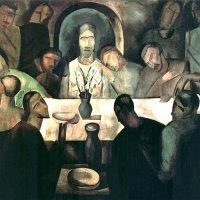 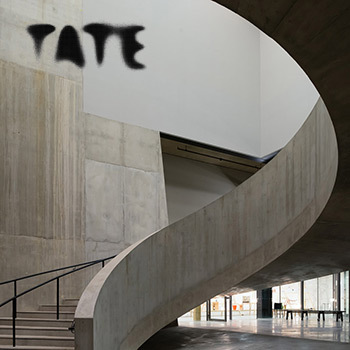 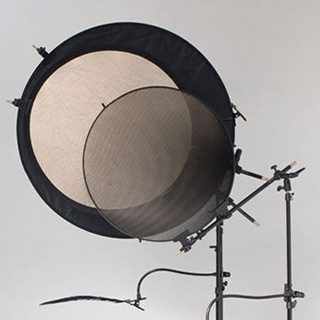 His art underwent virtually no change after the 1920s, though his more conservative style brought him financial success. 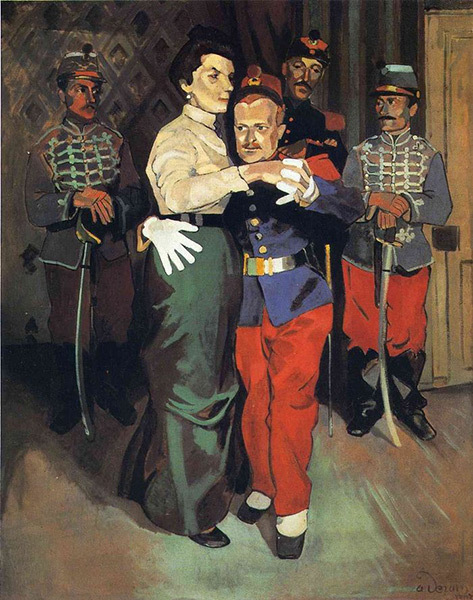 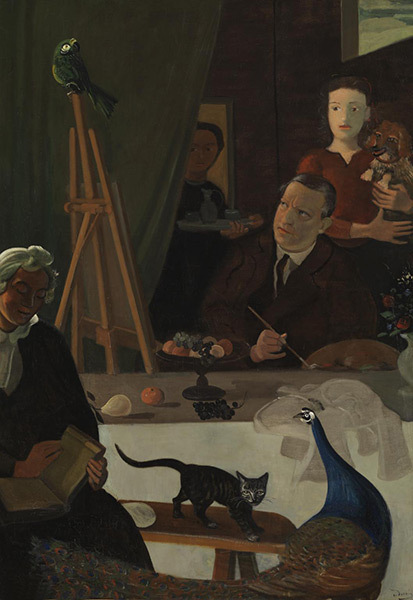 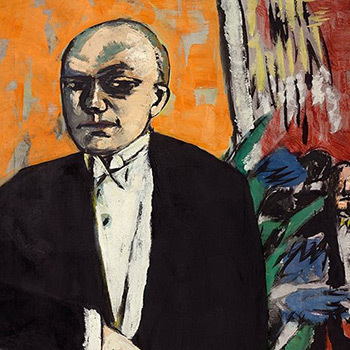 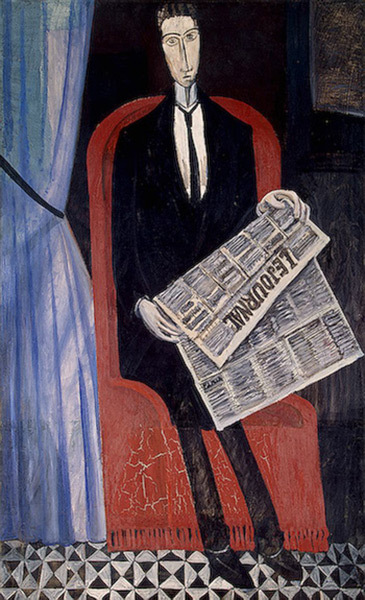 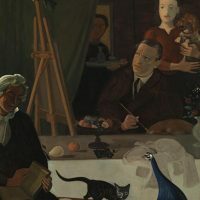 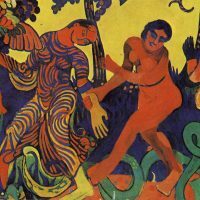 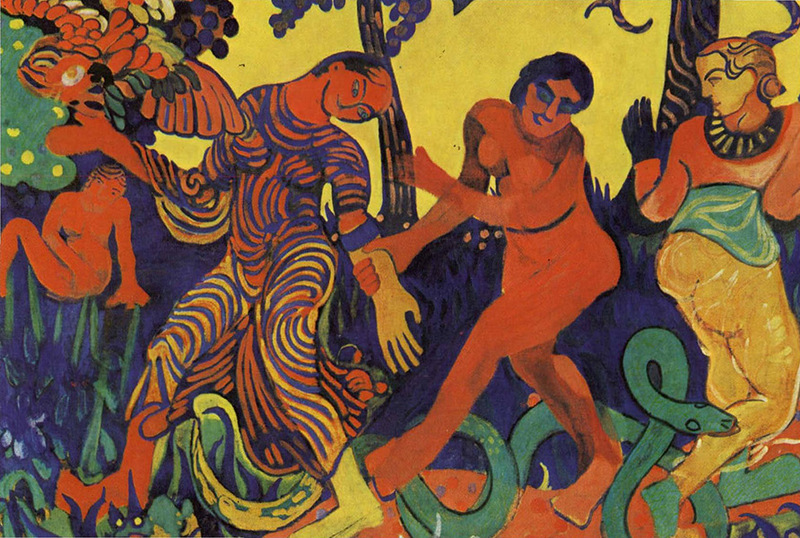 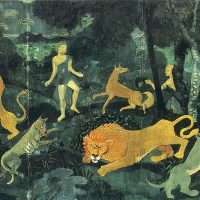 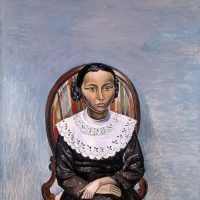 Derain had considerable ability as a decorator and created theatrical designs, notably for the Ballets Russes. 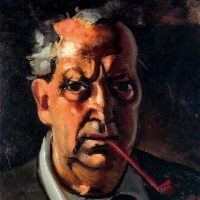 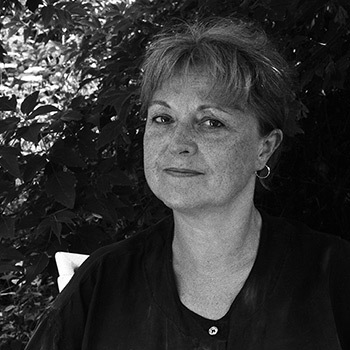 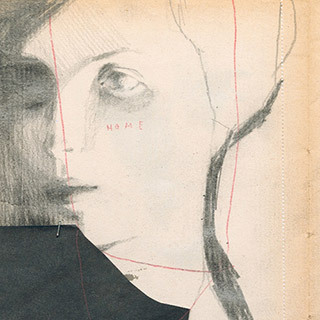 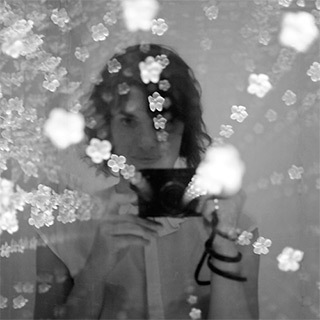 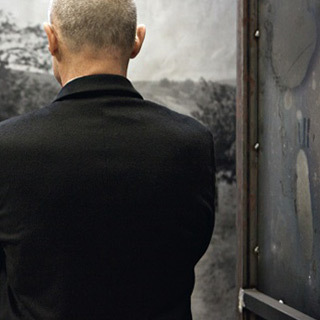 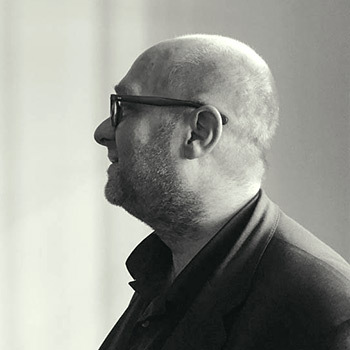 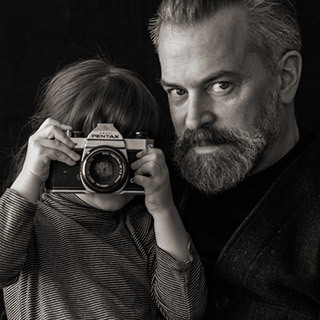 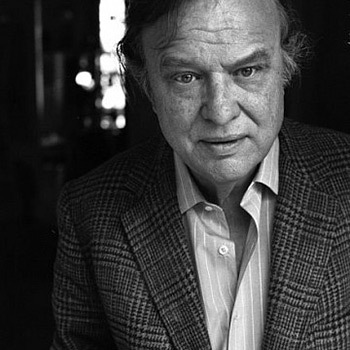 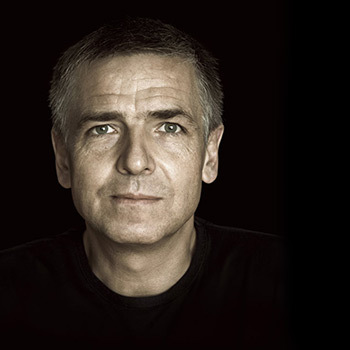 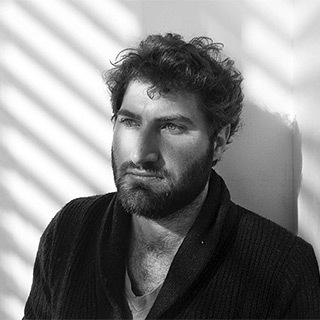 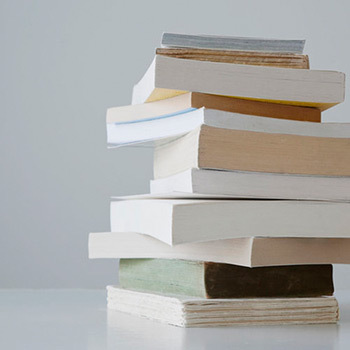 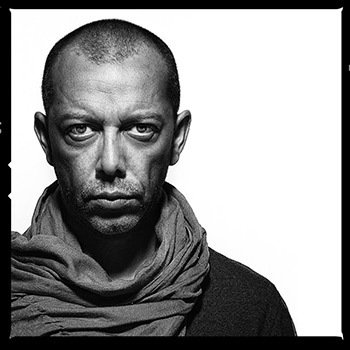 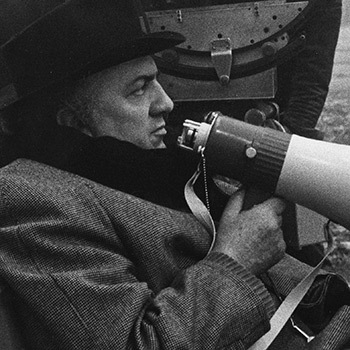 He also produced numerous book illustrations, often in woodcut, for works by authors such as François Rabelais, Antonin Artaud, and André Breton.